A suspected rhino poacher in South Africa was killed by an elephant before his body was apparently devoured by lions, authorities said. A search team in Kruger National Park was only able to recover a pair of skulls and a pair of pants. 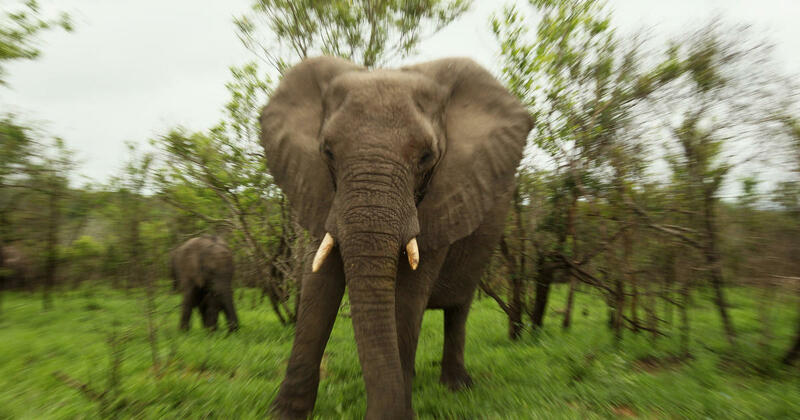 The accomplices called the victim's family and said he had been killed by an elephant. An initial search party was unable to locate the body. During a search Thursday morning, authorities found the few remains of the suspected poacher. "Indications found that the scene suggested that a pride of lions had devoured the remains," the park service said. – SA Police Service (@SAPoliceService) April 6, 2019 [EnteringtheKrugerNationalParkisillegalandonfootisnotwiseitholdsmanydangersandthisincidentisevidenceofthat"KrugerNationalParkManagingExecutiveGlennPhillipssaidinastatement"Itisverysadtoseethedaughtersofthe[deceased] mourning the loss of their father, and worse still, only being able to recover very little of his remains."